It’s not uncommon to see Easter eggs go on sale in the first week’s of January, and a public health body has said this is too early, causing unnecessary temptation and fueling the country’s obesity ‘epidemic’. A survey carried out by the Royal Society for Public Health (RSPH) found that with three weeks still to go until Easter, half (50%) of the UK public have bought and consumed at least one Easter-related chocolate, treat or cake, while almost a quarter (23%) have already bought and consumed at least one full-sized Easter egg this year. Shirley Cramer, CBE, Chief Executive of RSPH said: “We recognise that special occasions such as Easter are a time for indulgence and treats. However, it is clear that many shops and supermarkets are pushing products way too early – it isn’t uncommon to find Easter eggs on sale in the first week of January. Our research suggests that the public find this mildly irritating and it is just putting unnecessary temptation out there, particularly for children. 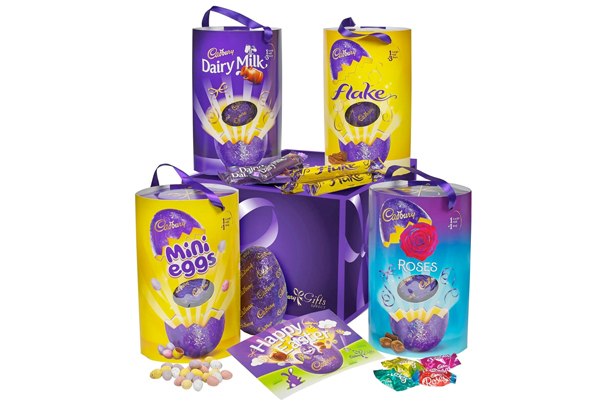 A 256g Cadbury’s chocolate egg contains about 1,375 calories – more than half the recommended daily calorie intake limit of 2000kcal for a woman, and 2,500kcal for a man. “If supermarkets are serious about tackling the obesity epidemic, we would urge retailers to change their marketing strategies in the interest of the public’s health,” said Cramer.